The Zavio D6220 is a compact outdoor IP dome camera capable of recording at up to 30 frames per second in 1920 x 1080 video resolution. The Zavio D6220 compact outdoor IP dome camera features a 1/2.8" CMOS image sensor and a 2.8 ~ 12mm Varifocal Lens, providing an adjustable 35° ~ 105° horizontal angle of view. This camera can support simultaneous video streams of each H.264 or MJPEG (Motion JPEG). Built in infrared illuminators have an effective range of 25 meters / 75 feet to enable continuous recording, even without ambient lighting. Without the use of the infrared illuminators, the D6220 has a color lux rating of 0.01 and a black and white lux rating of 0.001. The Corridor Mode is ideal for hallways and corridors because it makes the vertical angle of view wider than the horizontal angle of view to better capture long narrow areas. An included IP66 / IK10 rated enclosure protects the vital components of the camera from acts of vandalism, harsh weather, dust, and humidity . 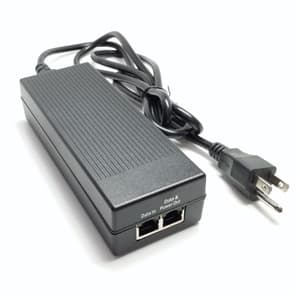 The Zavio D6220 can be powered by either 12V-DC or POE (Power over Ethernet), which allows both video and power to be run over one Cat-5 cable. Like all Zavio IP Cameras, the D6220 includes 64 channel recording software to give the user the features of a network video recorder. NVR Software / IP Camera Recording Software Included! All Zavio IP cameras include NVR / IP camera recording software that supports up to 64 cameras for live viewing, recording, and playback. Some of the features included in the software are: 64 camera remote channel live view, 16 channel playback simultaneously, motion detection & scheduled recording, supports H.264/ MPEG-4/ MJPEG compression formats, multiple user access levels with password protection, iPhone, iPad, and Android mobile apps, and powerful recording search functions. This NVR software runs on Windows PCs. You can learn more about the included Zavio NVR software here. The Zavio software also includes the Remote Live Viewer app for Windows. This software connects to Zavio stand-alone NVRs and PC based NVRs (built with the free Zavio software). 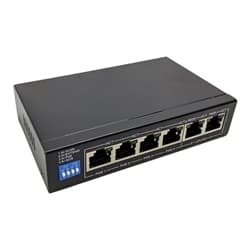 It enables live remote viewing of all IP cameras connected to your NVR(s). The software also includes the Remote Playback app which lets users search and playback surveillance video that has been recorded to the NVR's hard drive. You can learn more about the Remote Live Viewer software here. Zavio IP cameras support live remote viewing over the Internet from a Mac computer. Macintosh users can directly access Zavio IP cameras using Safari, Chrome, and Firefox web browsers. For users that setup the Zavio NVR software on a Windows PC or use a stand-alone Zavio network video recorder, Mac users can also remotely access these NVRs to view all of the IP cameras, playback recorded video, and configure their NVR from Macintosh. 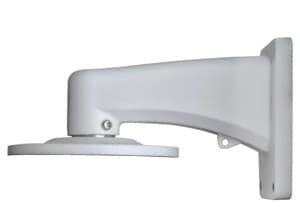 Learn more about remotely viewing IP cameras from Mac here. Please note that Zavio camera DO NOT include video recording software for Mac. It is highly recommended that Mac users read our Zavio IP camera FAQ for Mac. This video demonstrates live security camera viewing capability from the iPhone app that connects to the NVR software included with Zavio cameras. You can learn more about the iPhone IP camera viewer app here. Important Note: Click the gear icon in the lower right of the video player and select 720p or 1080p resolution so that you can view the video in the highest resolution available. Here is a screenshot of the Android app the connects to the NVR software included with Zavio IP cameras and enables remote live viewing and recorded video playback. You can learn more about the Android IP camera viewer app here. Did you know? CCTV Camera Pros can provide a complete IP camera system quote that includes any Zavio IP cameras, a Zavio NVR or a custom PC based NVR build using the 64 channel IP camera software included with this camera. 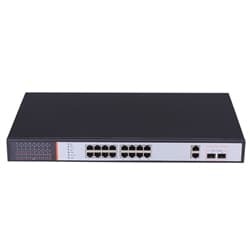 We can also include any number and model of cameras, CAT-5 cables, PoE switches, and monitors. Let us customize a system based on your project requirements.